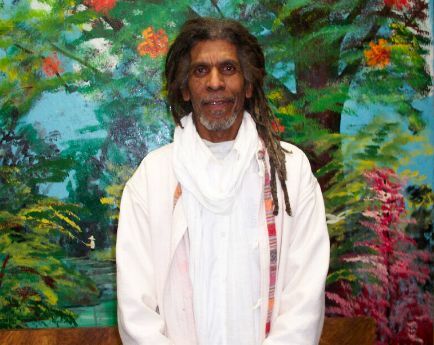 Baba Rahsan Abdul Hakim grew up in Jamaica where his training in plants began when he was small child at the hands of his grandmother, aunt and mother. His grandfather, Charles Williams, was an important horiiculturalist and agriculturist who introduced a number of useful plants to Jamaica. He was the uncredited developer of the Hope Garden, the largest botanical garden in the Caribbean. As an adult Baba Rahsan moved to the Bronx where he established Sundial Herbs, an herbal products manufacturer, retail store and school. Note: Mr. Hakim makes reference to a six million year cycle. He meant to say a six thousand year cycle. In this interview Baba Rahsan referred to a particular cycle of time as being 6 million years. He meant to say 6 thousand years. This entry was posted in "Weeds", Botany, Education, Ethnobotany, Food, Interviews, Medicine, Mind, Mission and tagged Baba Rahsan Abdul Hakim. Bookmark the permalink. ← Do trees talk to each other?